I am never afraid of what I know. As a young colt, Black Beauty gallops in the fresh green meadows with his beloved mother, Duchess, and their kind master. But when his owners are forced to sell him, he swaps a life of freedom and happiness for one of work and toil. Bravely he works as hard as he can, suffering at the hands of men who treat animals cruelly. But Black Beauty has an unbreakable spirit and a strong will, and is determined to survive. A short but sweet book review for you today! It's been a resolution of mine for a while to read more classic children's literature that I didn't get around to when I was younger, so I was really pleased to find this beautiful Penguin Threads edition of Black Beauty. 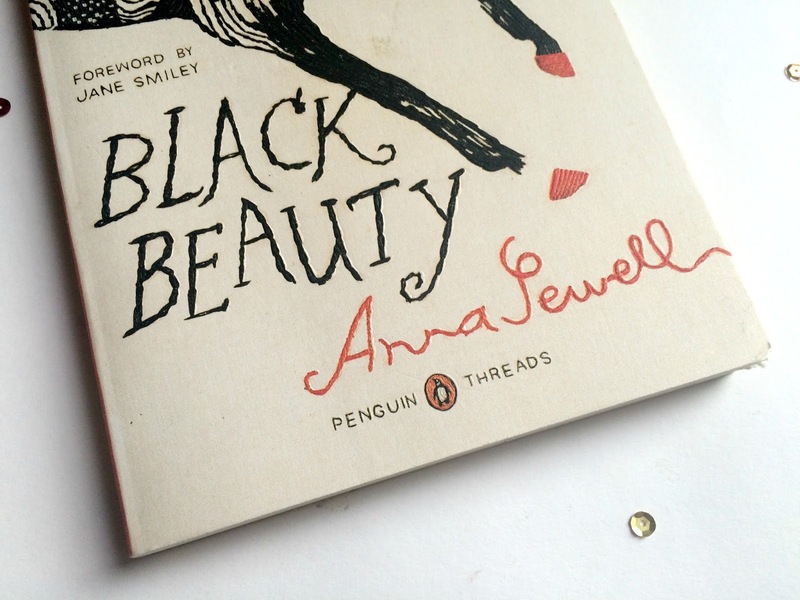 The cover image has been embroidered by hand to give it a embossed texture which is absolutely gorgeous. 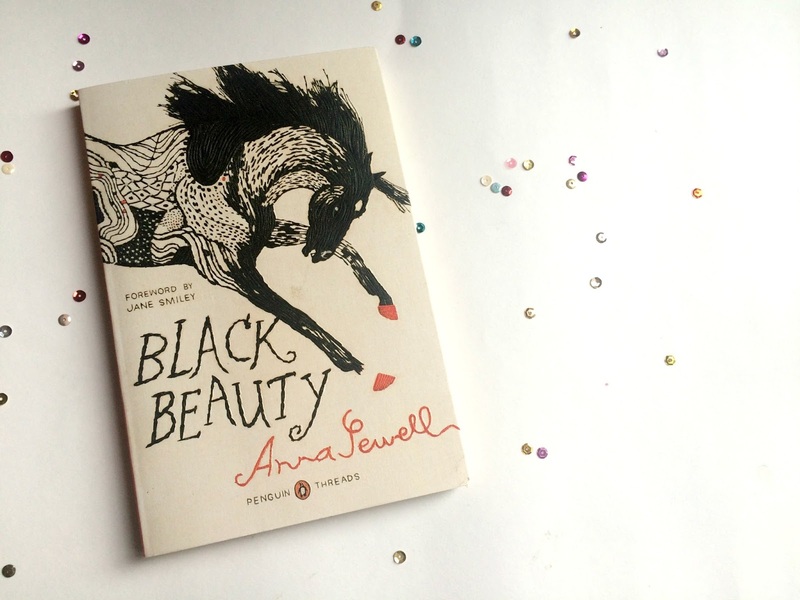 I picked Black Beauty up to read after Christmas and read it in the space of a couple of days. It was a really gentle and easy read. The story follows Black Beauty through the different stages of his life and I think he made a good narrator. I also enjoyed that each new character was given a well-developed back story, particularly his fellow horses. Often there would be a few pages of solid monologue from one of the new introductions where they were telling their own stories which did slow down the pace of the story quite a bit, but a lot of thought had been put into explaining how each character came to be the way they are. The major theme of Black Beauty is animal welfare and it was clear that this was a subject Anna Sewell was passionate about; in fact, her goal in writing this book was to encourage the kinder treatment of horses. I definitely found it to be an educational read and I learned a lot in particular about how the fashions of the time dictated some of the more cruel practices in the treatment of horses. I'd recommend this as a great starting point for anyone wanting to read more classics or children's literature, and I would definitely say it's a must read for anyone with an interest in horses. A simple yet engaging story with memorable characters and a strong message. A simple yet engaging read with memorable characters and a strong message, I found Black Beauty to be very enjoyable and an insightful look into animal welfare in the Victorian era. Thank you for taking the time to leave a comment. I read and appreciate every single one!